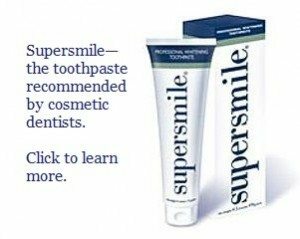 Is there no recommended cosmetic dentist close enough to you to be feasible? Let me try to find you an expert cosmetic dentist. Before we start, be sure that you have reasonable expectations. Remember that maybe only one dentist in 100 or so has the artistic talent and training necessary to do a beautiful smile makeover. And these talented dentists tend to gravitate toward larger metropolitan areas. So if you live in a rural area, expect to drive a couple of hours, at least, for your smile makeover. And if you’re in a large city, you may have to drive across town. So be reasonable in what you expect. First check our existing list of recommended cosmetic dentists. If you really can’t find someone that you could arrange to see, ask Dr. Hall and he will research your geographic area and examine the credentials, view photographs of their cosmetic dentistry for dentists who claim to be cosmetic dentists. The final step will be Dr. Hall interviewing the dentist. Since Dr. Hall is a retired accredited cosmetic dentist, he is very adept at identifying expert cosmetic dentists. Only a small percentage of dentists who claim to be cosmetic dentists pass his screening. We take very seriously the responsibility of referring you to an expert cosmetic dentist, because that is the purpose of this web site. Please give us at least one phone number and an e-mail address to be able to contact you. Please tell us what you need from this cosmetic dentist . . .
Where are you located, and in what city or cities should we look for an expert cosmetic dentist for you? Thank you. Where possible, Dr. Hall will try to get back to you with your answer. Please set your e-mail account to be able to receive mail from mynewsmile.com so that our answer isn’t blocked by your spam filter.